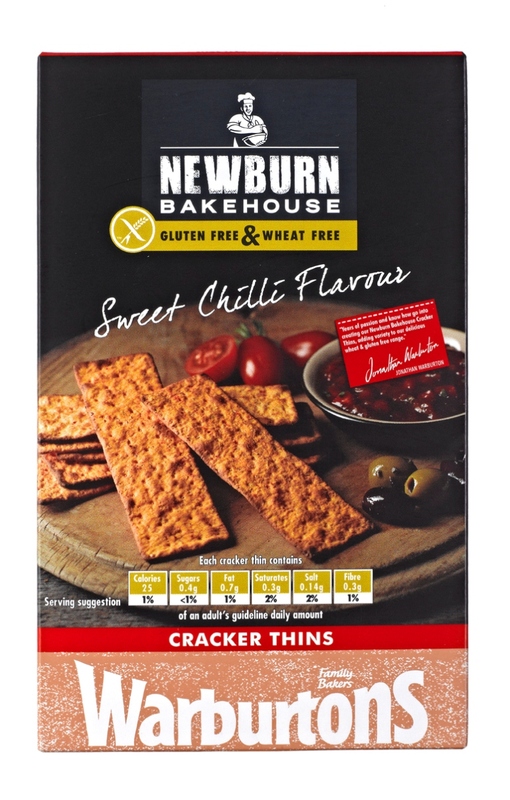 Newburn Bakehouse is the gluten free range from Warburtons, which seems to be expanding pretty quickly at the moment. The guys sent me through some samples the other week and I have to say I’m pretty impressed by their innovation. Wraps (white or seeded available) – these are my favourite new gluten free product from any manufacturer by a mile. They are soft and bendy (i.e. they don’t break or crumble) and taste like real tortilla wraps. I don’t know how they’ve achieved the springy dough like consistency but they have and these are dreamy. Once again you can have fajitas, wraps for lunch or even make a healthy pizza base out of them. The re-sealable packet they come in is perfect too. And I’ve just noticed they have a pre-made wrap available in Starbucks now too. Great news for on-the-go. 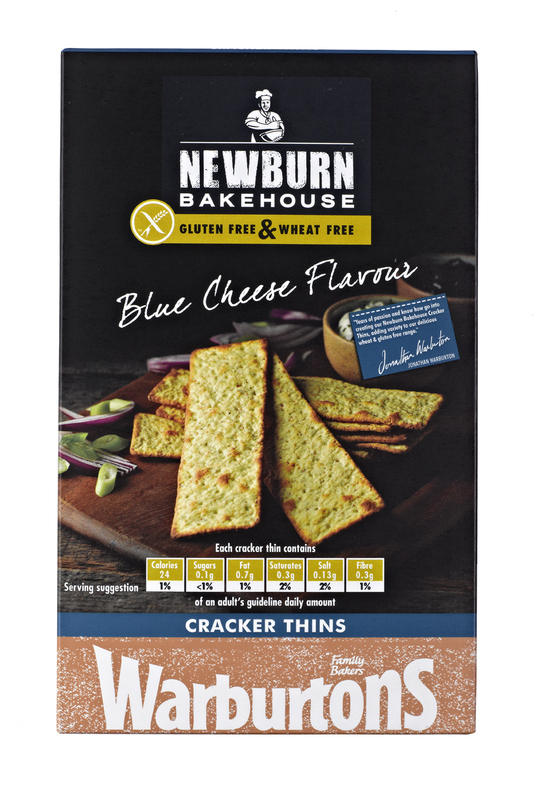 Cracker thins (blue cheese or sweet chilli available) – I’m not a massive fan of crackers, I prefer oatcakes with cheese and that’s about the only time I ever eat them. In saying that these taste good, have a good texture and I foudn them handy to keep in my drawer for a snack at work. Sandwich thins (white or seeded available) – another great innovation from these guys, they make lunchtimes more interesting, they taste like REAL bread and they are great to pop in the toaster to make a quick garlic bread or toasted sandwich too. Very impressed. These guys and Udi’s are the only ones in my opinion that are truly innovating and bringing out products for new occasions not previously open to gluten dodgers. Hopefully the prices will go down as time goes by as they are pretty expensive at the moment, but they are a great treat when you fancy something different. You can search for your nearest stockist at http://www.newburnbakehouse.com I’ve found them in most decent sized Tesco stores and some of the bigger Sainsbury’s so far. ← The tastiest free-from snack on the go?